Photo of IUD. Progestin only IUDs like the Mirena, Skyla or Kyleena can trigger hormonal acne. Yes, it’s real. Being on a progestin only contraceptive like the Mirena IUD can trigger hormonal acne. Yes, the type of acne that can hound you even though you’re in your 20s, 30s or 40s etc and even though you thought you had said goodbye to acne forever. Yes, the type of acne that shows up as pesky red uncomfortable bumps of your chin and jawline. Yes, the type of acne that can leave a little blemish – maybe a pink or dark spot – even when it goes away. Yes, the type of acne where maybe you have one bump that just keeps coming back — like a bad teen movie sequel – Parts I, II, III and more. You could have your physician remove your IUD and that could help your hormonal acne. However, that’s not a practical option for everyone. After all, there’s a reason you chose to have it placed in the first place. There are practical benefits to having an IUD after all. You could also see your dermatologist. 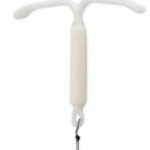 Most of the time, we are able to “treat through” the hormonal effects of the Mirena IUD. We can tailor your acne treatments to your acne. 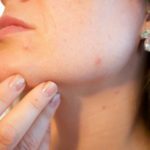 This may involve a medication called spironolactone which helps address hormonal acne. We may use other meds in combination with spironolactone or even choose a different med all together. So in short, don’t despair! If your Mirena comes along with a tag-along called acne, it may be time to see your dermatologist (or get your Mirena removed)!